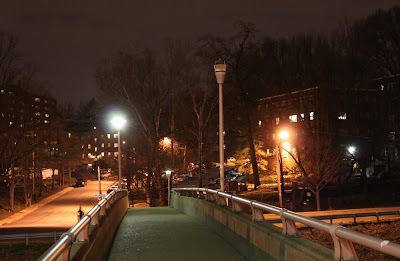 The frequently used, scenic Westmoreland pedestrian overpass crosses Rt. 50/Arlington Blvd next to the Ft. Myer Heights Park and the important Westmoreland Terrace Condominiums. The center light on the overpass is currently broken. That broken light provides a great opportunity to recognize Rosslyn beyond Lynn St. and to highlight Rosslyn as the welcoming port to all of Arlington County. Replace the broken light with a prototype luminous body! 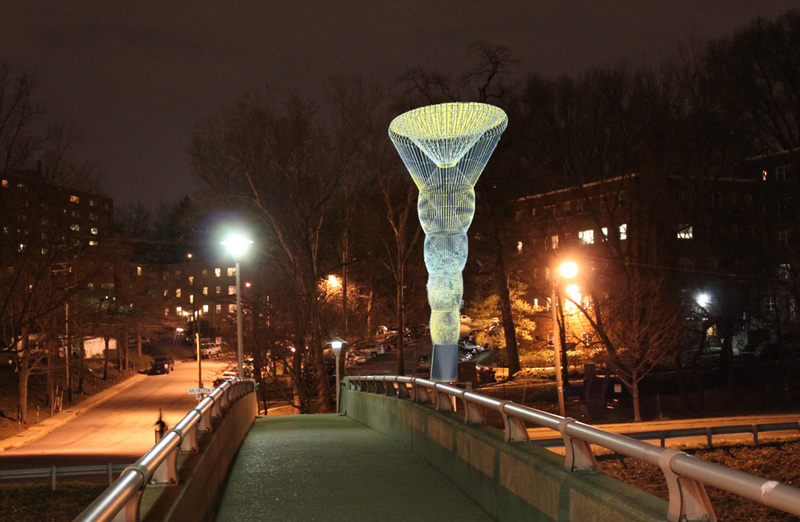 Luminous bodies are objects of wonder particularly appropriate for Rosslyn. A symmetric, linear arrangement of luminous bodies might tend to regularize them. The Ode Street Tribune endorses a more asymmetric, surprising, and geographically inclusive placement of Rosslyn's luminous bodies.